Hi to all! 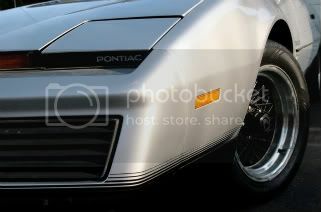 Anyone one here, have sleepy eyes headlight convert on thier trans am or firebird?. The reason why I ask, is because, both of my motors are shots. Thinking of openning the headlight halfway and installing HID foglights in it. I know it sounds to import, but what can I say....I'm filipino, that loves muscle cars. Are the headlights rebuildable like the 3rd gen ones? If so, that may be a better cost alternative. The thing is, both motor aren't making any noise. No whinning, no grinding, no signs of life what's so ever. Those headlights look like a$$ IMHO. Get some new motor or used ones. PM hybrid36 he's recently parted out to 4th gen birds you might be in luck and he still has a set in working condition. Even if they are in working shape and they grind you can try flipping the gear or buying new brass gears which i have installed into my dads 95'. I saved one motor by flipping the gear over but the other side was to chewed up so i had to resort to new brass gears. If your not a fan of how your lights look you might want to do a H4 housing retrofit like alot of people doing for a more modern look and you can install some HID's if you choose down the road aswell. I've check, there's power going to the motors. PM hybrid36 to see if he has a set! I like it when the lights are down, especially on a nice sunny days.